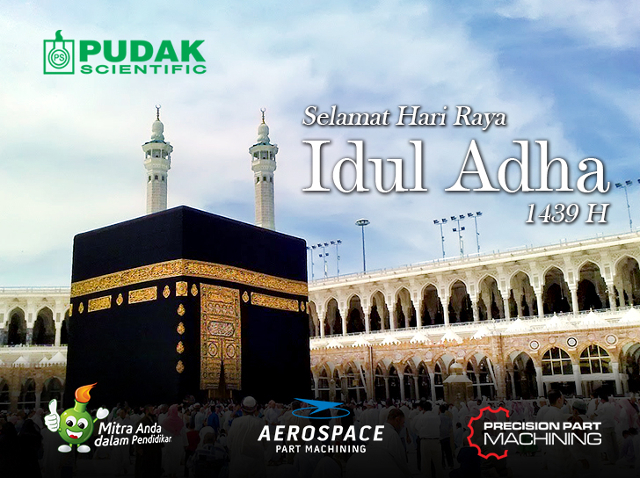 Pudak Scientific's Board of Directors and Staff would like to wish you Happy Eid al-Adha10 Dzulhijjah 1439 Hijra. May Allah SWT always blesses us. To celebrate Eid al-Adha, our office will be closed on Wednesday, August 22nd, 2018. We will resume our business hours on Thursday, August 23rd, 2018.